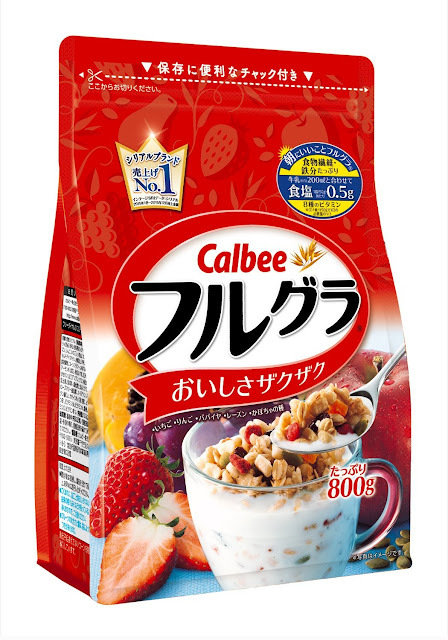 Calbee Inc. (カルビー株式会社 Karubī Kabushikigaisha) is a major Japanese snack food maker. It was founded on April 30, 1949. It launched operations at a new plant in the United States for making its mainstay products "Kappa Ebisen" shrimp chips and "Saya-endo" snow pea crisps on September 18, 2007. Its snacks are hugely popular in Asia, and are well known in the United States. Its headquarters are located in the Marunouchi Trust Tower Main in Marunouchi, Chiyoda, Tokyo. Malaysia, being the food fans we are, we do like all the food from all around the world, Japan without a doubt must be one of the top 3. Calbee is also a well-known snack brand in Malaysia. However, it was mostly for their chips. They have a new product now, the healthy granola breakfast, aims to provide you a great start to the day with nutritional ingredients such as oats and brown rice mixed with dried fruits for sweetness. Made in Japan, we imported some for you guys! Click link below to buy!